IT MAY be seen as just a scoreboard at a football ground, but to Wayne and Donna Warry it means the world. 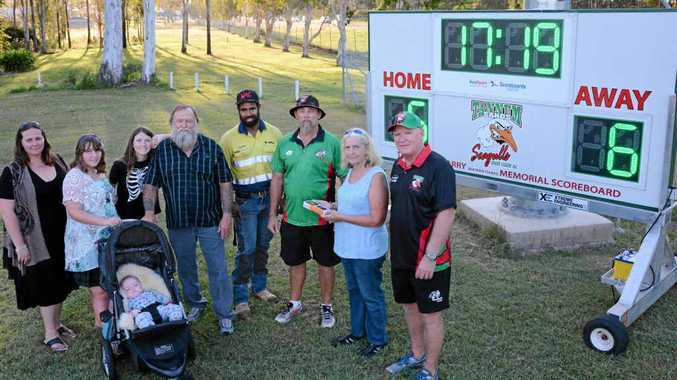 The Warrys are life members of the Tannum Sands Seagulls rugby league club. Their daughter Tina Marie Warry loved the club, offering her help wherever she could. "Tina would help in the canteen until she was 16 or 17," Wayne said. "She would help mum and dad do whatever at the club." Tina died in a car accident on April 17, 2012. 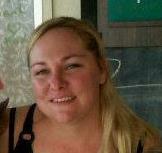 She was 33 years of age and left behind two children, Declan and Connor. Tina Warry died in 2012. Since her death, the Warrys have been looking for a way to honour her commitment to rugby league and love of the game. "We wanted to do something that would benefit the community and keep our girl in their mind's eye," Wayne said. After recently returning to a coaching role at the club, he noticed a few things that were in need of an upgrade. One of those was a digital scoreboard for the junior and senior teams. "The juniors and seniors applied for a grant but it was knocked back," he said. "The juniors have never had a scoreboard." The scoreboard is radio controlled and can be wheeled from field to field. It's on a frame built by Extreme Engineering, where Tina was working at the time of the accident. Originally the club wanted to help the Warry family buy the new equipment, but it was ultimately decided the family wanted to do the whole lot. "We said if we don't buy it all it is not really her scoreboard," Wayne said. "It's called the Tina Marie Warry Memorial Scoreboard." Now every new member of the club or junior coming on board will see the name Tina Marie Warry at the ground. Although they are proud of the legacy the scoreboard holds, it doesn't get any easier for the Warrys. "We have to keep our chin up," Wayne said. "I can assure you it doesn't get any easier. It's something you have to grin and bear." Tina was a school teacher for 10 years. She left her mark on many people. "She had everything going well and in front of her," he said. "Tina had two education degrees. She was a pretty smart cookie. "A lot of people knew her. We were amazed, when she had the accident, all of the people that knew her." premium_icon ANZAC DAY: What's opened and closed across the region? News It can be confusing keeping track of what's going to be open when, so we've compiled a list of trading times. Politics Ballot draw reveals some surprises.